Like Lindsay, I have a tendency to gravitate towards recipes that call for egg yolks. For a long time I didn’t have any go-to recipes for egg whites (and I’m far too lazy to use Lindsay’s impressive labeling and freezing system), so the best case scenario for those leftovers was a half-hearted egg white scramble. I thought I’d found a solution to my egg white problem in a retro French dessert: floating islands. I was wrong. 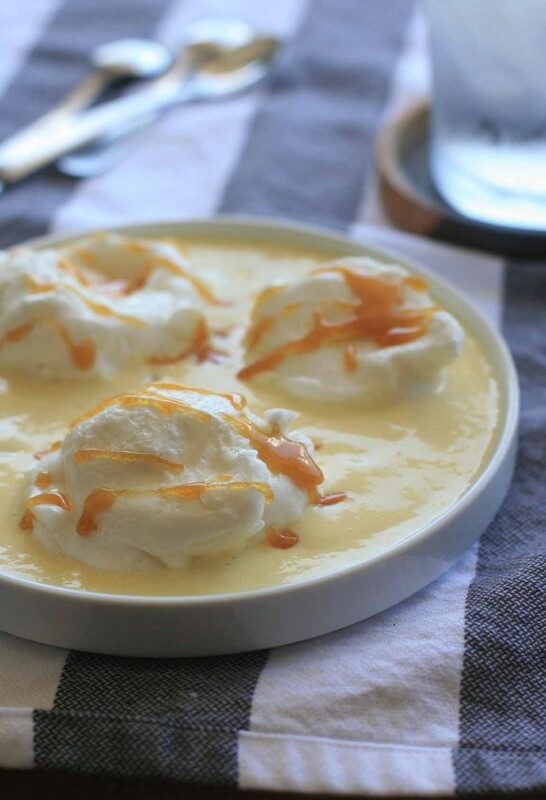 They might be visually impressive, but whipped egg whites simmered in water just aren’t my jam… even when they’re floating in Crème Anglaise and topped with caramel sauce. This is one retro recipe I’m OK with not making a comeback. 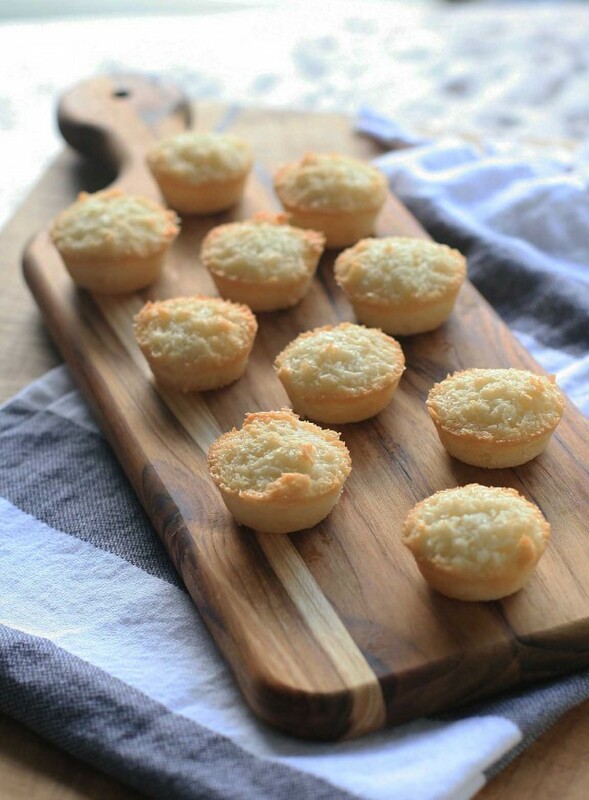 But these coconut friands, sweet, mini tea-cakes made from dried, shredded coconut? Now this is the way to use up extra egg whites. 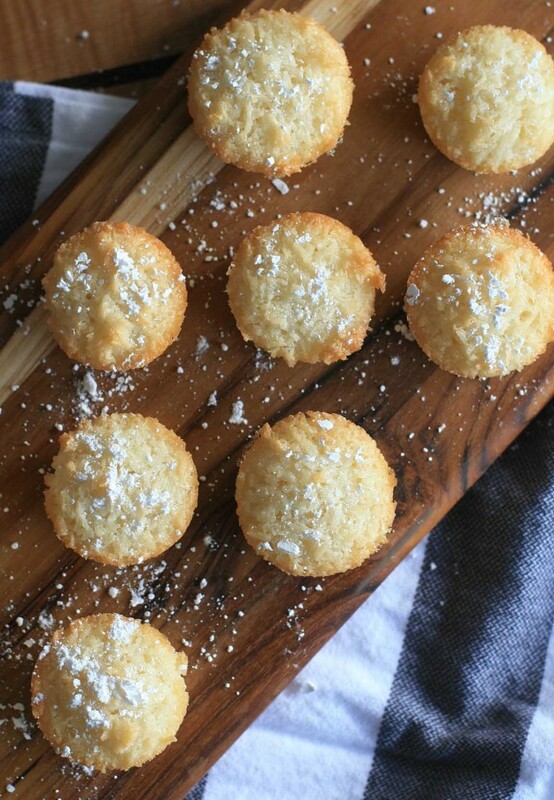 A lot of folks consider friands sort of a variation of financiers, those nutty and addictive tea cakes made from ground almonds. I’d be hard-pressed to decide my favorite between the two… they’re both so so good. And it didn’t occur to me, but swapping out the butter for coconut oil would be a great way to take the coconut flavor up a notch or two as well. 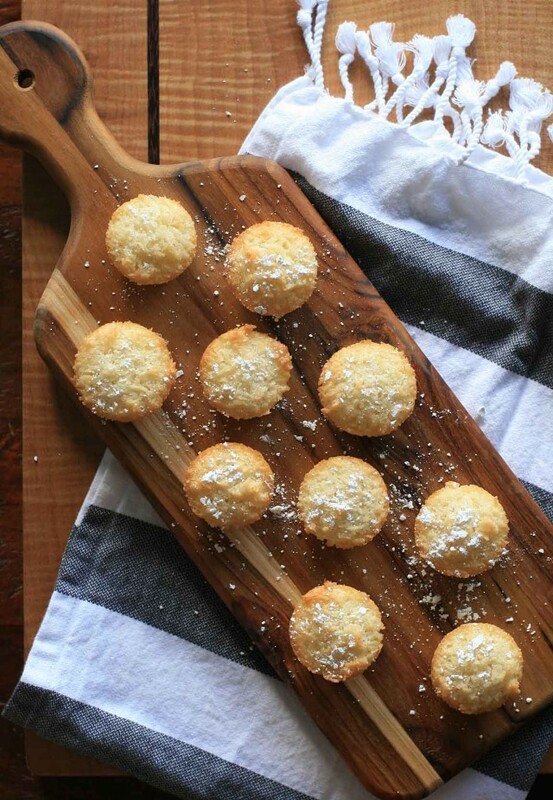 Consider these a buttery and slightly more refined version of macaroon cookies. 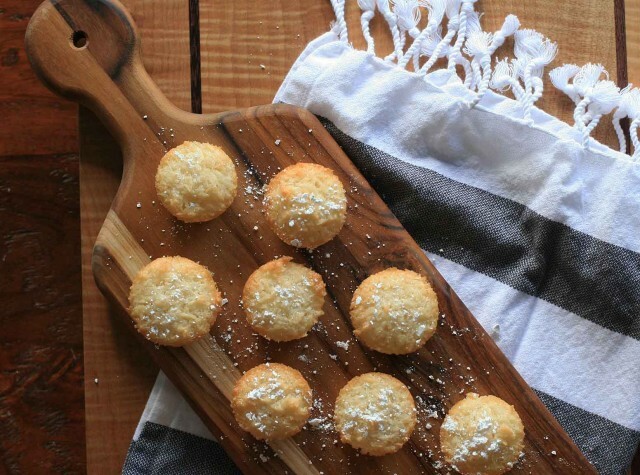 They’re a snap to throw together and are cute as a button plain plain or with a quick sprinkle of powdered sugar. I can happily say that I think my egg white problem is a thing of the past. Preheat oven to 350 degrees and butter or spray two 12-cup mini-muffin tins or line them with paper liners. In a large bowl, using an electric mixer or a whisk, beat the egg whites until they’re smooth and a little bit foamy. Switch from the mixer or whisk to a spoon and gently mix in the remaining ingredients, one at a time. The batter should have a nice sheen to it. Spoon the batter into the prepared tins, filling them almost to the top of the cups. Bake for 17-20 minutes, or until the edges of the mini cakes are slightly golden and a toothpick inserted into the center of one of the cakes comes out clean. Remove from the oven and immediately unmold the cakes; I used a small cocktail fork to help remove them. Let the cakes cool on a wire rack. Serve warm or at room temperature. Sprinkle with a bit of powdered sugar, if desired, right before serving.